Posted by Frank Fillmore on February 2, 2017 under Baltimore Washington DB2 Users Group, DB2 Education, DB2 for z/Linux, DB2 for z/OS, IBM Champion, IDAA, International DB2 Users Group (IDUG). Tags: BWDB2UG, DB2 for z/OS, IDUG. My colleague, Kim May – Vice President of Business Development at The Fillmore Group, has been elected Chairperson of the Board of Directors of the Baltimore/Washington DB2 Users Group. Kim has served on the board of BWDB2UG since 2005 in many capacities such as programming and membership. BWDB2UG continues to provide strong technical leadership for DB2 practitioners in the US Mid-Atlantic region. Kim takes over from long-time board Chair Steve Rosenberger. 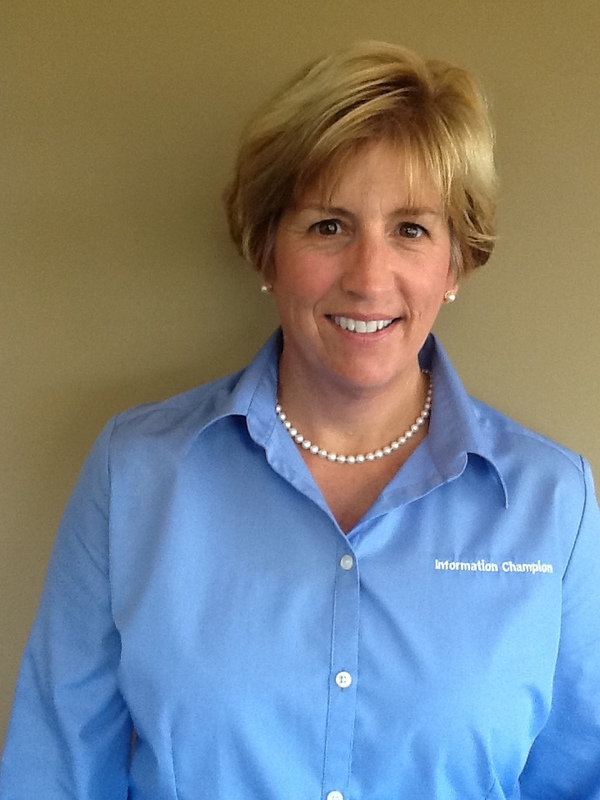 Kim is also an IBM Champion and is very active in the DB2 Community. As an example, she presented at the IBM World of Watson conference in Las Vegas in 2016. Kim recently returned from the zAnalytics Bootcamp held annually at IBM Silicon Valley Lab. Kim’s business focus in 2017 is the IBM DB2 Analytics Accelerator (IDAA) and DB2 running on Linux on System z. Please join me and the BWDB2UG board in supporting Kim in her new role. Posted by Frank Fillmore on February 26, 2016 under BLU Acceleration, DB2 for Linux Unix Windows, DB2 for z/OS, DB2 Gold Consultants, Frank Fillmore, IBM Champion, IDAA. Tags: DB2 for LUW, DB2 for z/OS, DB2 with BLU Acceleration, HTAP, IDAA, z Systems. On Monday, March 14, 2016 DB2 Gold Consultant and IBM Champion Frank Fillmore will present on Hybrid Analytic/Transaction Processing (HTAP) at the Heart of America DB2 Users Group in Overland Park, KS. A complete agenda, presentation abstracts, and speaker biographies can be found here. Posted by Frank Fillmore on February 2, 2016 under Big Data, DB2 Connect, DB2 for z/OS, DB2 Gold Consultants, Federation, Frank Fillmore, IBM Champion, IDAA, Q-Replication. Tags: DB2 Connect, DB2 for z/OS, Federation, HTAP, IMS, Replication, Virtualization, VSAM. Kim has just returned from IBM’s annual “z Bootcamp” where they prepare their System z sellers for the upcoming year with a series of product updates, announcements and education. Her takeaway message for 2016 was loud and clear: IBM intends to continue to enhance and extend the capabilities of System z so they can remain relevant and leading the effort to leverage the power of System z data. Which leads, naturally, to the “how?” question. At The Fillmore Group, as an IBM Business Partner we believe our ability to connect with Data Scientists and Data Architects and to help them understand the data stored in System z will help us all better align our interests and build a successful data and analytic ecosystem. To kick start this effort we have planned a lunch event at the award-winning Woodberry Kitchen in Baltimore where Frank Fillmore will present an overview of System z. Read more below – and please join us if you can! Fifty percent or more of a large enterprise’s data – especially the lifeblood online transaction processing (OLTP) data – likely reside on IBM z Systems (aka mainframe) computers. In many organizations, mainframes remain a black box inside the “glass house” data center. Yet the rich transactional data they contain are crucial to predictive analytics, such as fraud detection, and real-time data warehousing applications such as point-of-sale market basket analysis. This lunch session is intended for Architects and Data Scientists who don’t have a mainframe background, but have been tasked by lines-of-business to develop new competitive insights into customers, supply chains, insurance claims, financial transactions – and/or any of a variety of other opportunities to turn an enterprise’s OLTP data into Big Data. Frank will also discuss the how these approaches apply to the types of data in the context of the application requirements such as service level agreements (SLAs). The session will be held on Thursday, March 3rd, from 11am-2pm at the Woodberry Kitchen, 2010 Clipper Mill Road, Suite 126, Baltimore, Maryland, 21211. If you are unable to join us in Baltimore, Frank will deliver similar content in a webinar on Friday, March 11, 2016. Registration for the session, to be held between 11am and noon, EST, is HERE.